Our ASO team spends much of its time exploring and scavenging the iOS and Google Play app stores for signs of search algorithm and store updates that impact apps’ search visibility. Last week, we discovered something unexpected. 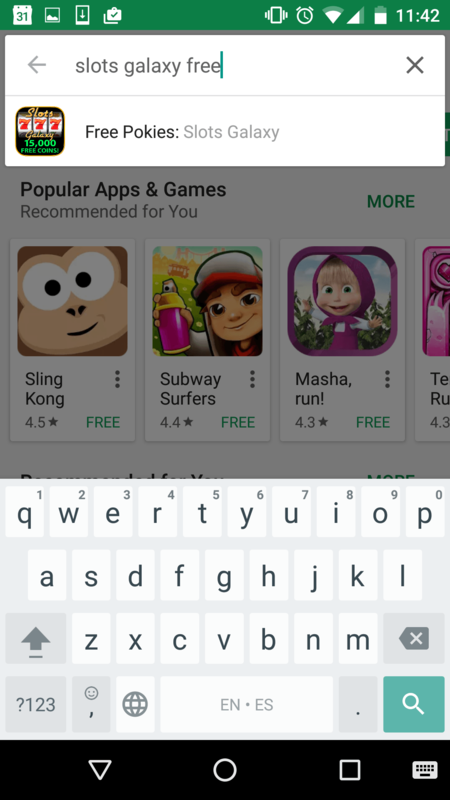 We already know that typing a branded app title in the Google Play search bar will suggest that exact app as the first search suggestions alongside the app’s icon. 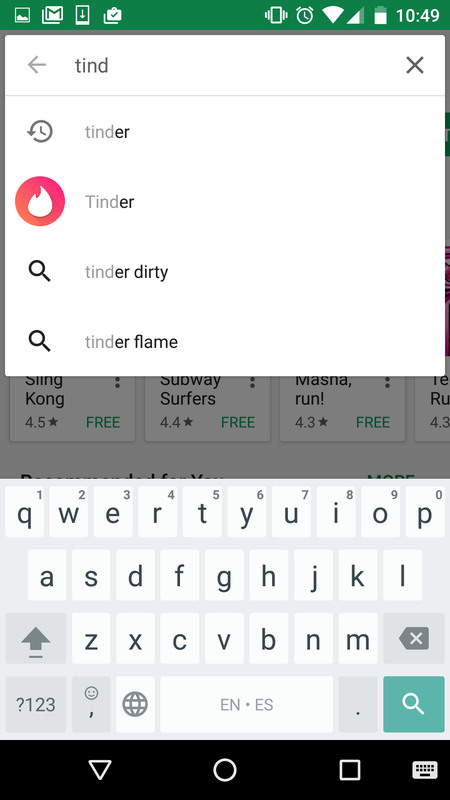 When we type “tinder”, we see a direct link to Tinder’s app page in the search suggestions. The odd discovery that we found this week was that the branded app titles were the Australian ones. This was the case for devices set to the United States, Canadian and Israeli stores, suggesting that this is the case regardless of device location. 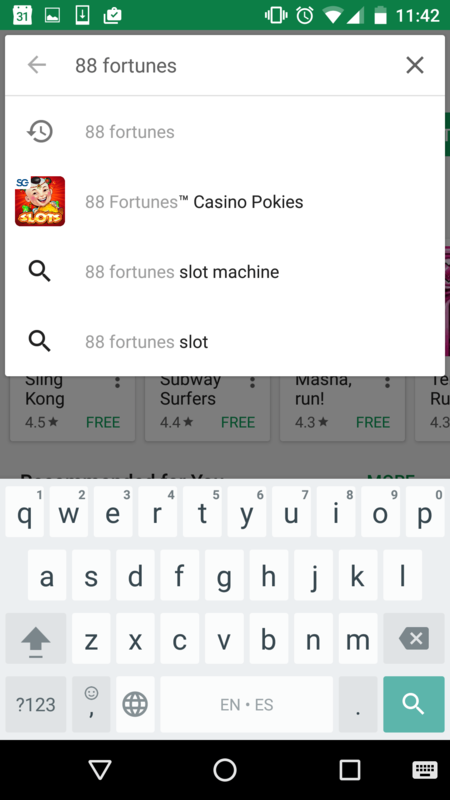 When we started searching for “Slots Galaxy”, Google suggested the app with its Australian title, “Free Pokies: Slots Galaxy” (for those who don’t know, pokies is the common Australian term for slots). The default US title for this app is “Free Casino: Slots Galaxy”. The same occurred when we searched for 88 Fortunes. The search suggestion yielded “88 Fortunes Casino Pokies”. 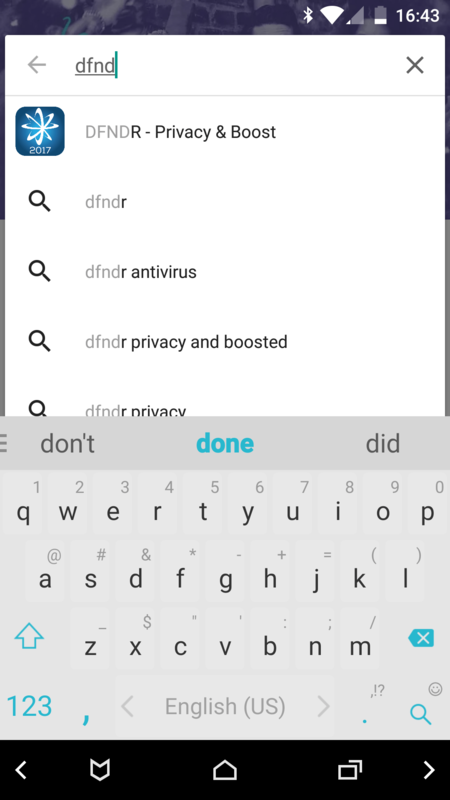 To confirm this “bug” in other verticals, we also searched for DFNDR, a localized antivirus app, and were also suggested the Australian title below (the default US title is DFNDR: Antivirus & Cleaner). We don’t believe that words like “pokies” in strong brands’ titles will deter non-Australian users, but until Google fixes this glitch, ensure that your Australian title does not misrepresent your brand and will be well-understood by all English-speaking users. On a different note, this discovery also gives us interesting insight into Google Play’s search algorithm. We know that titles in different languages affect each other (i.e. your German title might affect your US rankings), but the fact that Google Play displays Australian titles in its search suggestions might indicate that it treats this locale differently when calculating rankings for other Geos. If your app is active in Australia, make sure you target keywords with high traffic and relevancy among Australian users. Stay tuned to our blog for more App Store Optimization news, discoveries and tips, and for other mobile marketing topics. Feel free to contact us any time with questions or inquiries regarding ASO, performance marketing, or anything else mobile marketing.